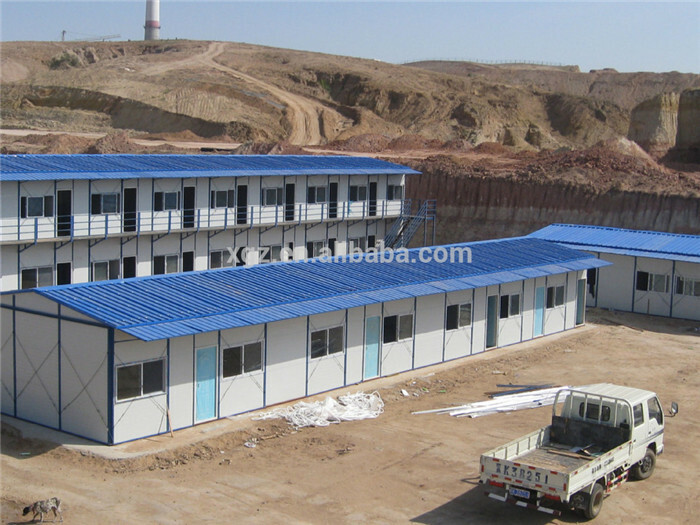 Easy assembly low cost prefabricated building house is a new type of building structure system, which is formed by the main steel framework linking up section steel components, roof and walls using a variety of panels and other components such as windows and doors etc. 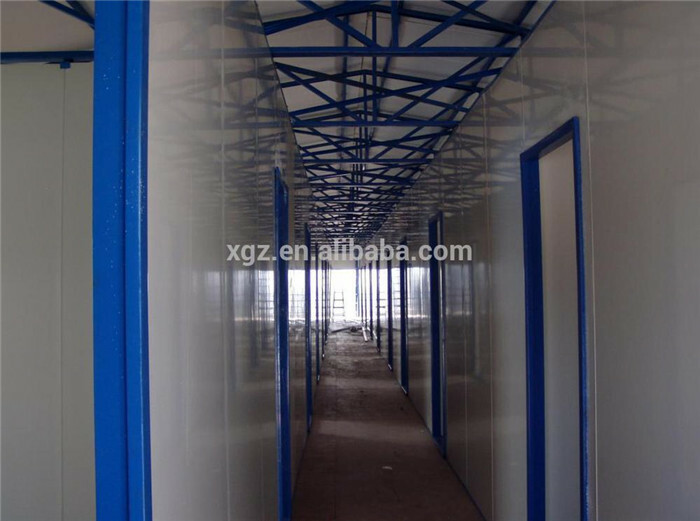 Dimention: Flexible size for 30 - 250 square meters. with 3keys. Inner door: Insulated steel door. Window material: PVC , Plastic steel, Aluminium alloy window siding or opening. Electrical wire, 2.5 mm2 for lighting system, and 4mm2 for AC units. 16A five hole universal socket. Water drain pipe, PPR pipe, dim 16-20mm, connection fittings are made of copper, life span over 10 years. 1. 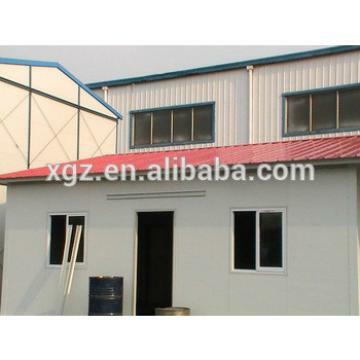 Attractive design ----beautiful and elegant looks, use the color steel sandwich panel, the material is polystyrene foam. 2. Easy to assemble and dismantle -----can be rebuilt for dozens of time with plugs and screw. 4. Durable----the steel frame parts are all processed with anti-corrosion coating and can be used for as long as 30 years. 5. Reduce cost by integrating &manufacturing &service processes. 7. Sizes and design are according to requirements. High strength, light weight, good material, high reliability and fast installation high level of industrialization. * More that 80 professional technicians and qulified R&D Engineers. *Complete set of production and installation drawings of steel structure to ensure the high-efficient and accurate operation. 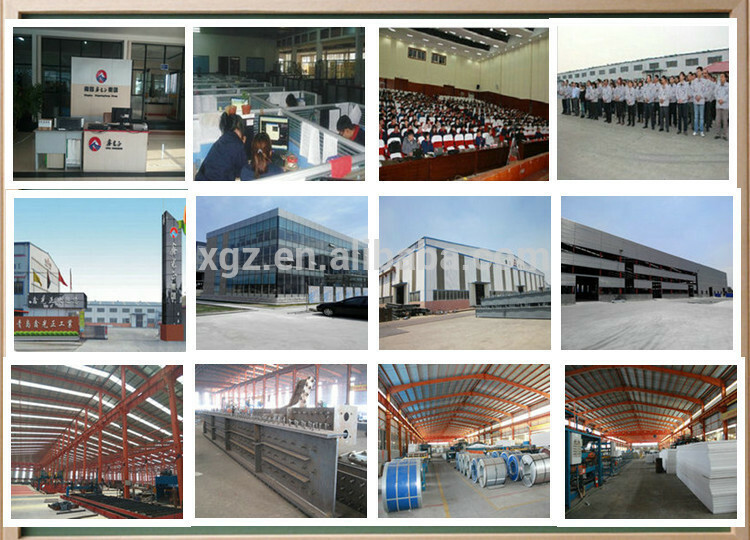 *700 workers, 60000 m2 workshop, 18 years’ experience, ISO&BV&SGS certificated, one hour reach Qingdao port. 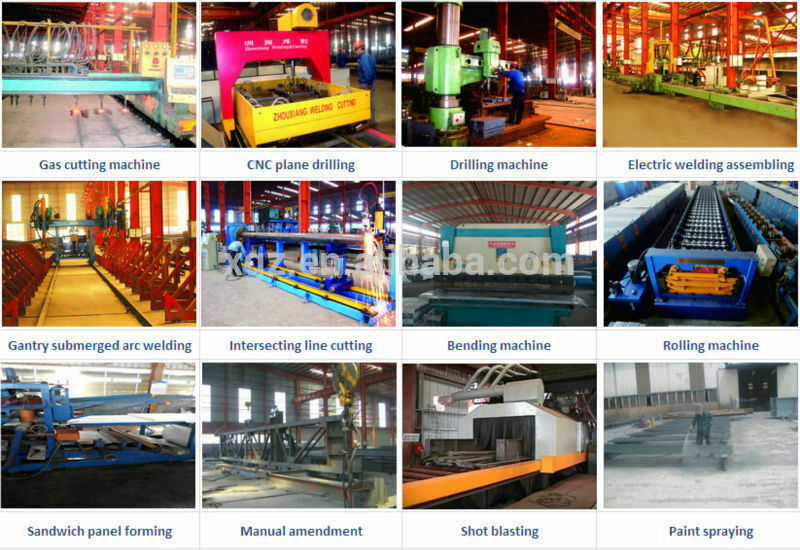 *Own light/heavy H steel production line, BOX production line ,C/Z purlin production line and various types of profiling steel sheet machines. *The annual production capacity: main steel structure 40000mts,secondary steel25000mts, various profiling steel sheet 500000 sqm annual. *18 years of accumulation and exploitation. 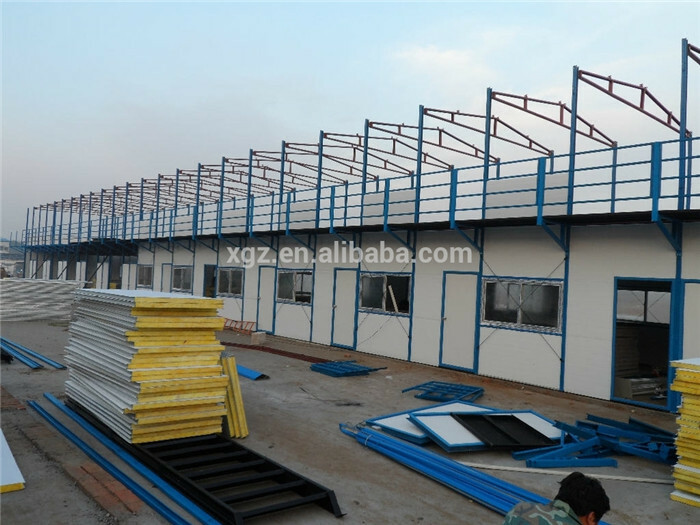 *Formed our own complete set of building system for wall and roof of steel structure . *Rich experience in waterproof and insulation technology. 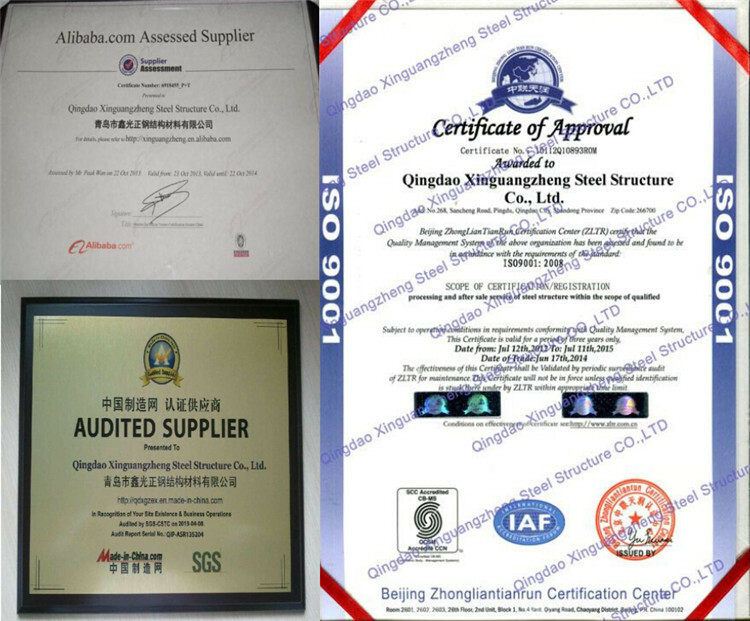 Support quality assurance of our clients. 2. Q: How to pay? 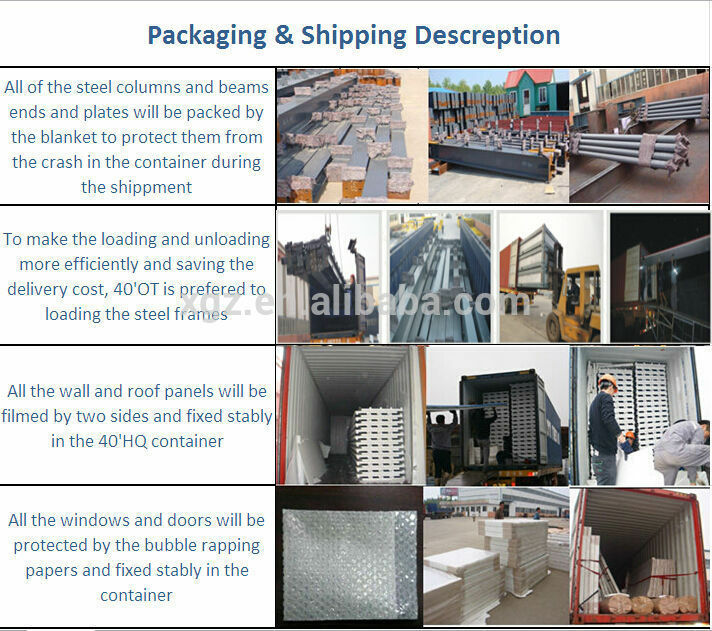 A: T/T - 30% deposit in advance, 70% balance before shippment. OR L/C At sight. A: Generally speaking, the delivery time will be within 15 - 30 days. 4. Q: How to deliver? A: Delivered by 40ft GP / HQ / OT Shipping containers. 5. Q: How to install? A: We will provide detailed illustration photos and videos to you. If it is necessary, we will send professional engineers to do the constructuion guidance, and some skilled workers to help installation. However, the visa fee, air tickets, accommodation, wages will be borne by buyers. 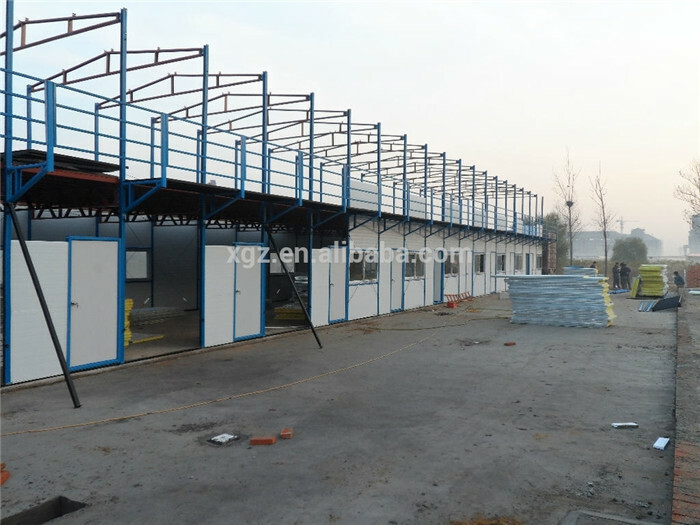 Qingdao Xinguangzheng Steel Structure Co.,Ltd specializes in designing, modeling, manufacturing and installing steel structure buildings in all aspects of residential, industrial and commercial field abroad and domestic. More than 300 foreign companies from all over 75 countries and regions have established cooperation relationship with us. Our professional teams will always bring best solutions to the projects that allow the buildings to finish on time and within budget. We are looking forward to establishing mutual business relationship with your esteemed company. 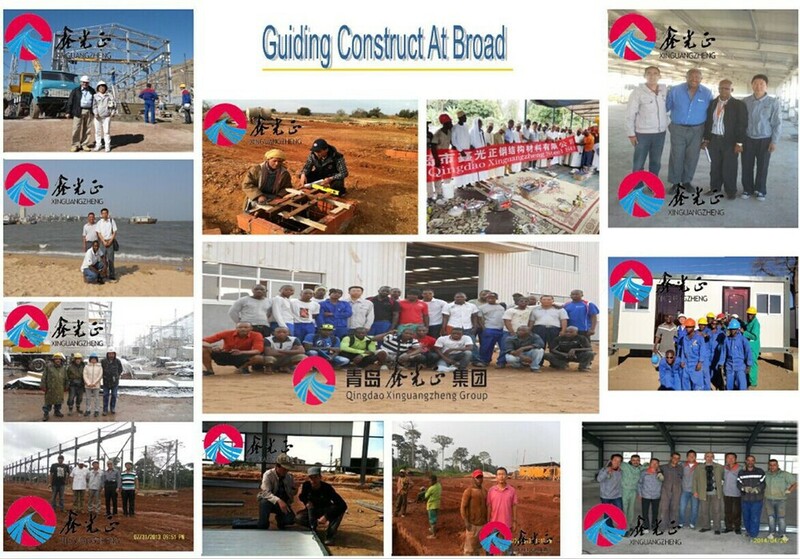 Our buldings have been supplied to South Africa, German, Sudan, Norway, Slovenia, Ethiopia, Uruguay, Mali, Algeria, Paraguay, Argentina, Russia, Kenya, Australia, Ghana, Saudi Arabia, Angola,,,etc. 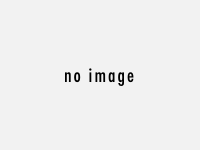 Looking forward to your inquiry in early day, your satisfaction will be our everlasting pursue.